“An exploration into the boundaries of space: volume, surface and line; of the immaterial form and its perception – its structure and deconstruction. 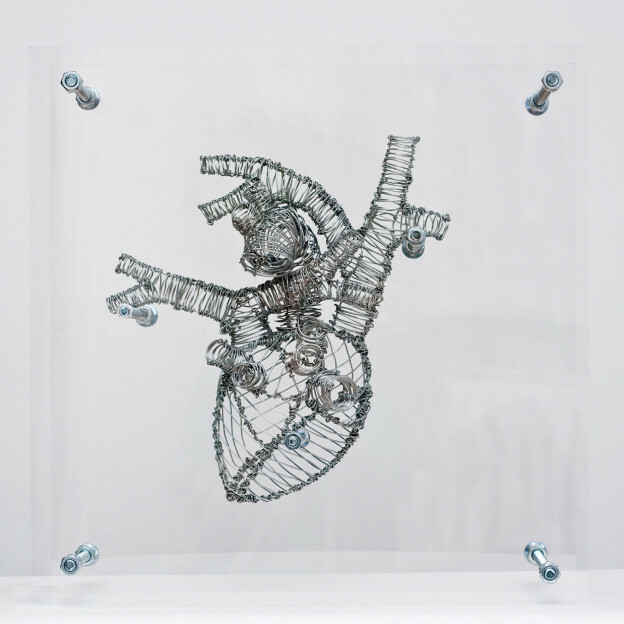 A deep look at the human body, its anatomy and the appropriation of its symbols.” Federico Carbajal, an architect based in Montreal, creates beautiful artworks based on human anatomy. 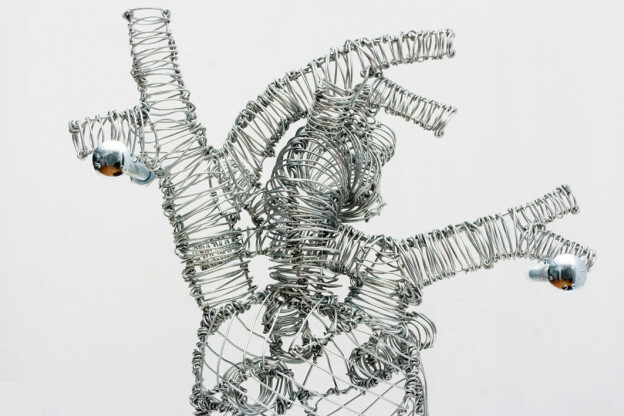 Using galvanized wire, stainless steel, and acrylic, his works exude the essence of life. You have combined studies in Architecture and Visual Arts. Please, tell us more about your multi-dimensional background. 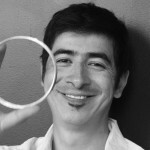 Federico Carbajal: Most of my formal studies are in architecture, I studied my bachelors in Mexico and my master degree in Montreal. 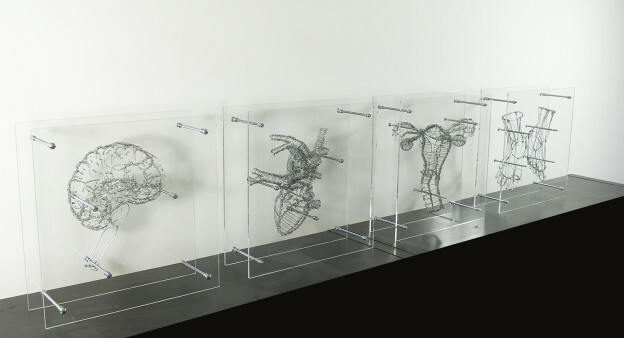 I have done a few workshops in art especially in hand drawing, and I first learned to the craft of bending metals when I was working as a sculpture assistant for the sculptor Holton Rower in NY a few years ago. But as an artist most on my learning comes from my own personal practice and interaction either with the material itself than with other creative people. Please tell us about your inner force to investigate the intersection of art and anatomy. FC: Everything started when I was studying architecture in Mexico, during an exhibition of our projects in university which it was this big master plan where after it we were suppose to focus in one pf the specific building of the master plan that we developed, student of psychology when looking at the models, point out the fact that architects most of the time started from the big external picture surrounding the human being while in psychology you start form the inner part of the human being towards its exterior. I was fascinated by his comment, and I thought that it was a vein worth to explore with my architecture representation tools. So after that the manipulation of anatomy came naturally as the core to express or show this idea. What are you aiming to explore with your ‘Anatomical No-Body’ works? FC: I wanted to deconstruct a body to its more essential components until we start questioning when it’s a body or only its pieces. I was intrigued by the idea of erasing the boundaries between the presence of a body as an entity or only its components. 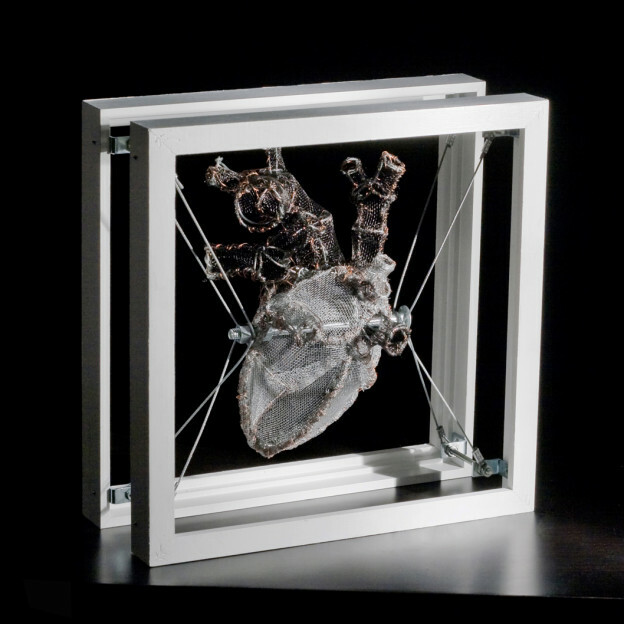 Could you describe the sculpture entitled “Anatomical No-Body Heart” and your experience to investigate human heart anatomy? FC: It is part of the piece that I was talking before, I picked the heart to be part of the organs that compose this piece, because of the connotation that we attribute to it: physical, emotional or even religious. What questions did you want to address in this work that could not be addressed through medical science? FC: I’m interested in expressing the void, the silence, the metaphysical presence of the body. 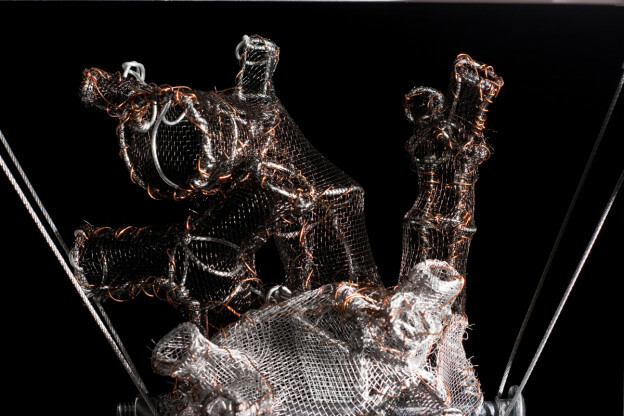 One of the things that I like of using wire through the space is the piece is always surrounded by emptiness that we can see through. Usually the scientifically approach focuses on how it works and what is physical, that on what it means to us and that is not physical, which is what I’m interested on. How was the response from the audience? FC: As I expected they try to give a meaning to it, to connect it with some cultural reference. Sometimes because of my Mexican origin they try to find a link with the Mexican imagery, which I found it funny since I wasn’t thinking about it at all when I conceived the piece. 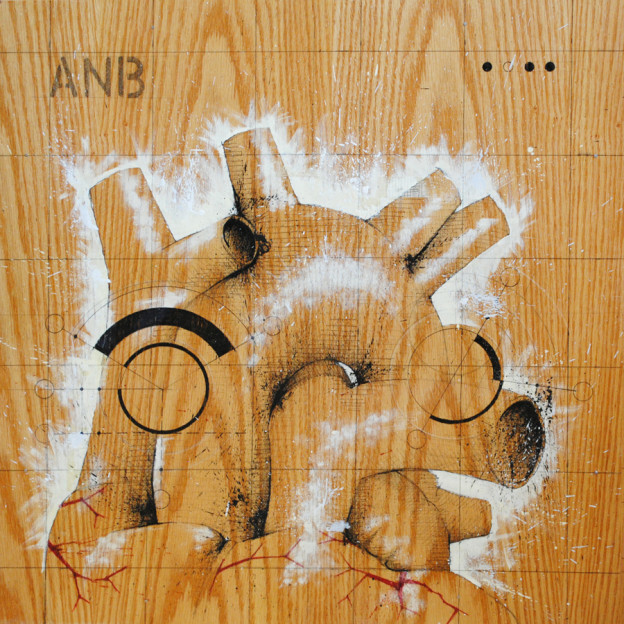 If the “Anatomical No-Body Heart” had a voice what messages would it say to humanity? FC: I don’t agree with the idea that art should have a message, in fact I think is the opposite of that, you have branding or design if you want that. As an architect, what’s the linkage between the architecture of a building and human body and organs architecture? FC: I always had thought that the human body is the best design piece ever made. Usually when the 3 main principles of architecture (shape, function and structure) are well balanced and inserted properly in a given context, as architects we say as that the building has a great design. In the human body we find these design principles extremely well solved, everything works together as a whole, the more I learn the more I’m mesmerized about it. 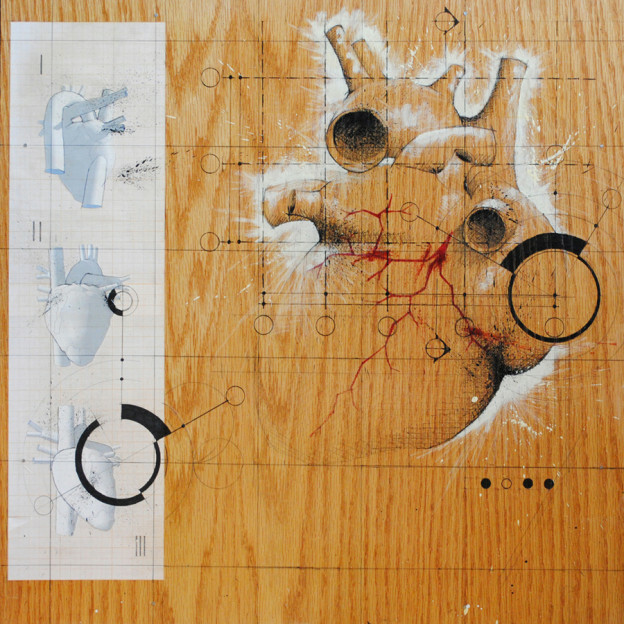 The human heart, apart from an organ is also a universal symbol. 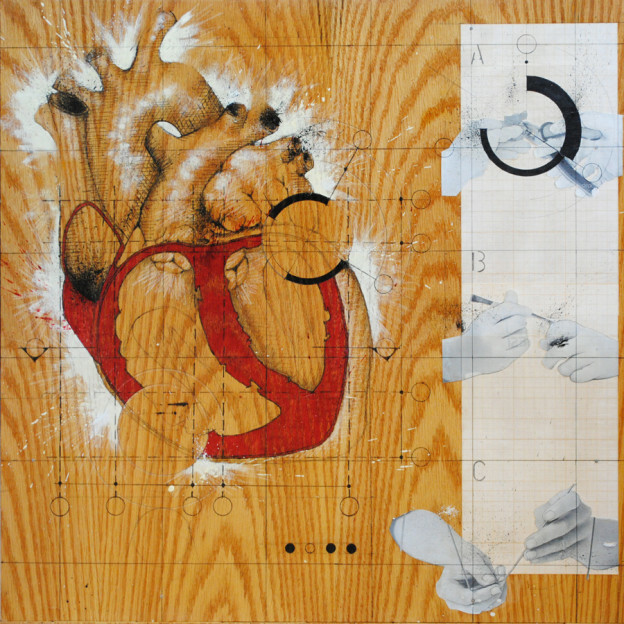 What does heart symbolizes in your work? 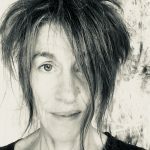 FC: I think is an organ that evokes different things for different people, but it always evokes something, so in that sense I use as a tool of individual or personal evocation more than a particular symbol. Could you describe a hypothetical situation that makes your heart beat faster? FC: Lots of things, it depends on the context or the moment, is hard to answers this question.